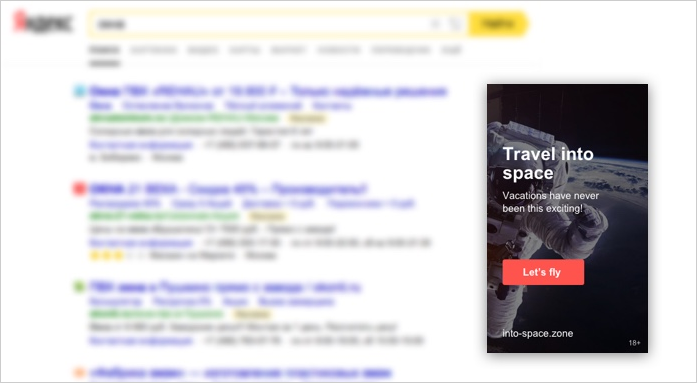 You can serve pay-per-click display ads on Yandex, Rambler, and Mail.ru; these are called Search banners. This type of banner is shown to the right of the search results and matches the user's search query. The page only displays one banner, so it will not have to compete for attention.